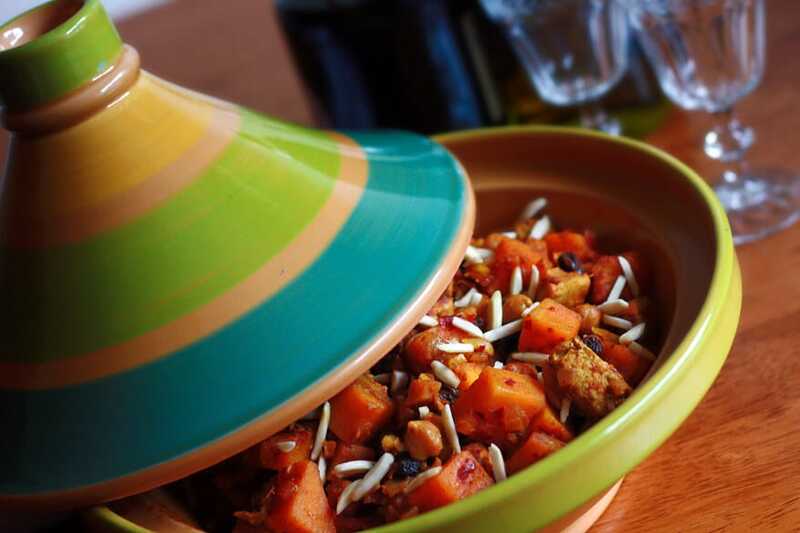 Moroccan cuisine is considered to be one of the most diversified cuisines in the world. This is because for centuries Morocco has been very interactive with other nations and has embraced and integrated many different cultural influences, not only in its foods but its art, music and literature. One of Morocco’s top priorities has been to protect and preserve its diverse legacy and culture. Moroccan cuisine is primarily Berber-Moorish, but is also influenced by Europe and the Mediterranean in some of its techniques and flavors. Spices are used extensively in Moroccan cooking. Meats, vegetables and dried fruits are a common food combination, as represented in today’s dish. While beef and lamb are eaten, chicken is the most widely eaten meat in Morocco. 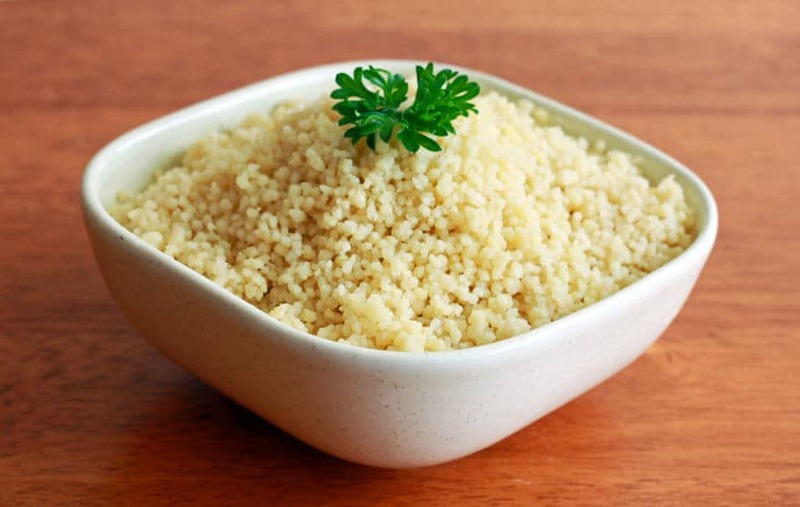 The national dish is couscous topped with meat and vegetables. This Daring Gourmet original utilizes traditional Moroccan ingredients and spices. 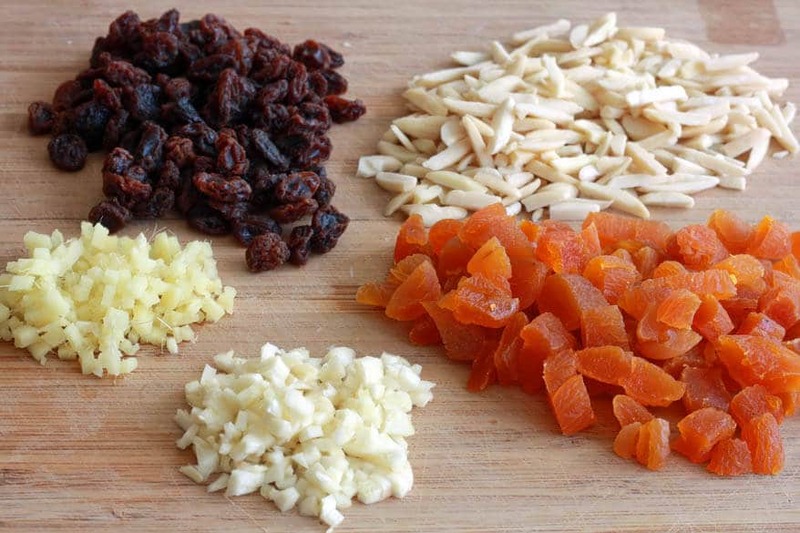 Chicken, squash, dried apricots, raisins, almonds, honey, a variety of spices, and harissa – a fiery Moroccan chili paste. Delicious as a vegetarian option as well (see recipe). 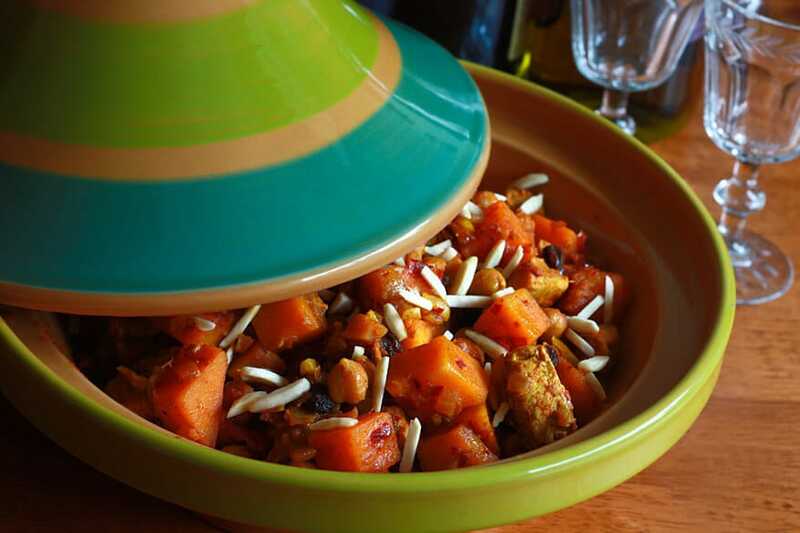 Make this Moroccan Tagine for your family or dinner guests, and they are sure to be impressed. And if you really want a conversation piece, purchase and serve it in a tagine (where the name of the dish comes from). See note below. Enjoy some Moroccan music in the background and have a discussion about culture, art, life! Or imagine bringing this to a potluck…can you just hear the “ooh’s” and “ahhh’s”! A tagine is a special North African pot formed entirely of a heavy clay, which is often painted or glazed, such as this one. It consists of a base where the food is placed and a large cone/dome-shaped lid that is designed to promote the return of all condensation to the bottom. With the cover removed, the base can be taken to the table for serving. The couscous is served separately. Now let’s talk about one of the ingredients in this dish that you may or may not have heard of. Harissa. 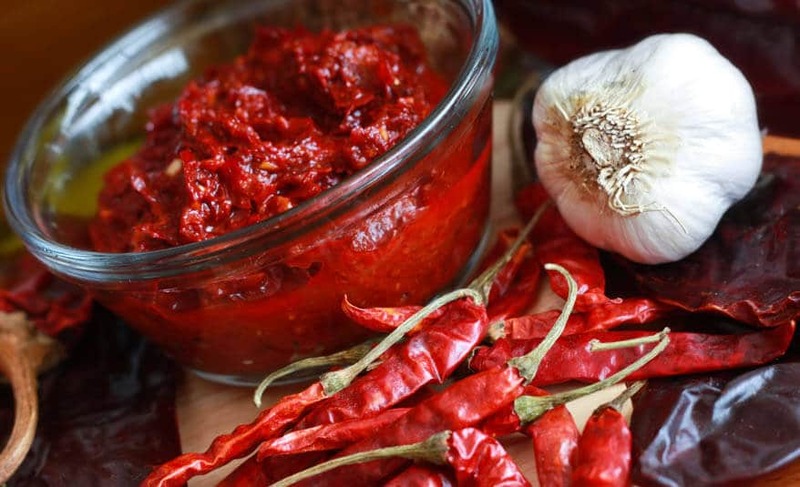 Harissa is a fiery Tunisian chile paste that is also commonly used in Moroccan cooking. It’s comprised of dried chiles, olive oil, garlic and spices. It’s super easy to make and I like to make my own. It stores in the fridge for up to 3 weeks. I’m going to share my recipe with you in case you’re as die-hard of a culinary adventurer as I am. Or you can simply use a chili paste substitute – something to give the dish a little color and lots of kick (or a little tap if you prefer). Okay, now let’s get to that delicious and aromatic Moroccan Tagine recipe! Cut up a butternut squash. I find it easiest to slice it in 3/4 inch slices, then cut off the peel, and dice. You’ll need about 4 cups. 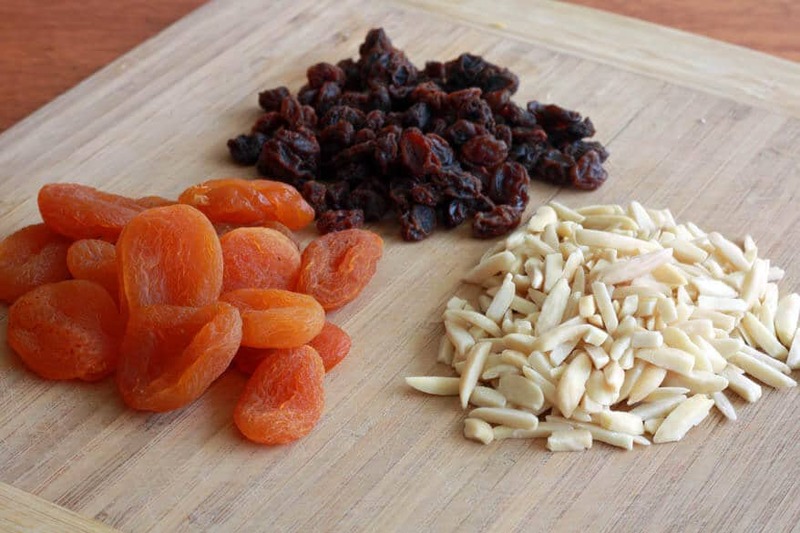 Measure out your dried apricots, raisins and nuts. Mince the garlic and ginger. Just look at all those beautiful ingredients! Now imagine them simmering with chicken, butternut squash, garbanzo beans, your homemade harissa, and an array of Moroccan spices…ohhhh, yes…. In a Dutch oven (I use and love Lodge) saute the onion until transluent, about 5 minutes. Add the garlic and ginger and saute for another 2 minutes. 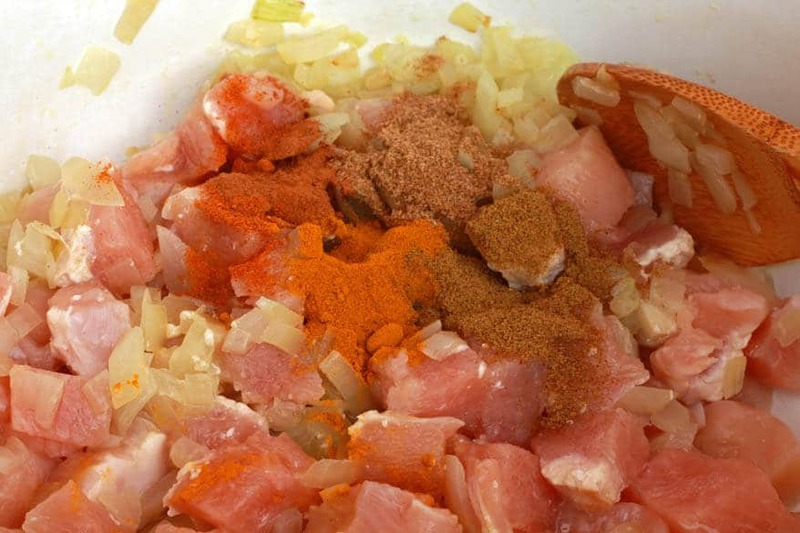 Add the chicken and the dry spices. Stir to combine and cook for 3-5 minutes until the chicken is no longer pink. Add the harissa, apricots, raisins, almonds, broth, bouillon cubes, honey, preserved lemon and garbanzo beans. Stir everything to combine. Bring to a simmer, reduce the heat to low, cover, and simmer for 10 minutes. Add the butternut squash, stir to thoroughly combine, return to a simmer, reduce the heat to low again, cover and simmer for another 25 minutes or until the butternut squash is fork-tender. Add salt to taste. 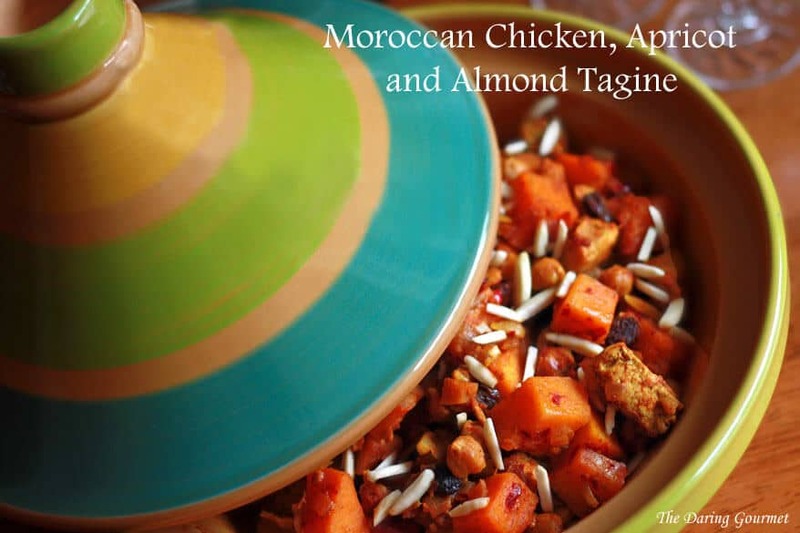 Transfer the chicken tagine to a warmed serving dish and top with extra slivered almonds. Serve with couscous. Super, duper easy to make. Boil two cups of water, add a vegetable or chicken bouillon cube (or salt) along with 2 tablespoons of butter and stir until dissolved. While the water is still boiling, add two cups of couscous, cover the pan, and turn off the heat. Let it sit for 10 minutes and then fluff with a fork. It’s ready to serve! This highly flavorful and aromatic Moroccan dish will both impress and delight your dinner guests. Add the water, bouillon cubes, chickpeas, harissa, honey, raisins, almonds, and preserved lemon. Stir to combine. Bring it to a boil, reduce the heat to low, cover and simmer for 10 minutes. 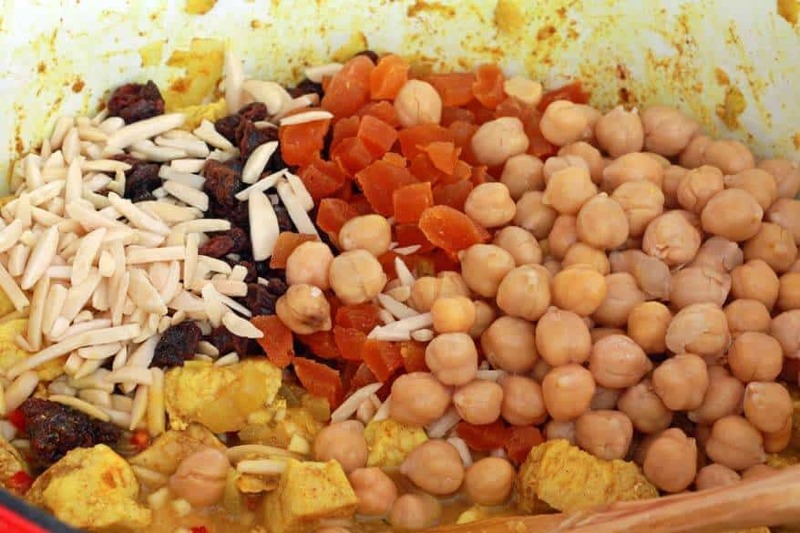 If using a tagine: Transfer everything to the tagine at Step 4 and bake it in the oven, covered with the tagine dome, at 325 F for at least 1 to 1½ hours. At that point check to see if the squash is soft and if not, continue baking until it is. **Be sure to follow the instructions with your tagine to properly season it prior to using. Loved this! Left out the chicken and used vegetarian broth for my vegetarian daughter but it was still hearty enough to satisfy the rest of the family. I was a little afraid the harissa would be too hot but it was delightful and fun to try something new and exotic. I double the recipe so we will have leftover for lunch this week! Thank you!! That’s great, Robin, I’m glad you enjoyed this recipe! I really love this dish and I agree that the flavors and ingredients in it are definitely satisfying even without the chicken. Thanks for your feedback! Hi Kimberly! As promised, I finally got to making this and it was extremely delicious. I was afraid that the honey might make it too sweet, but it was just right. Thanks again for recommending! Excellent! We all really love this dish, too. It has so many layers of flavor and I’ve always enjoyed the classic Moroccan combination of fruits, nuts, vegetables and meat. Thanks for your feedback, Heather! How will the cooking time/process differ when cooking in a tagine? It’s a completely different method/process, Dan. Also, if this is your first time using your tagine be sure to read up on how to season it prior to your first use. The maximum oven temperature should be 325 F and it will need to cook 3-3 1/2 hours with minimal disturbance. Thanks, I am going to give it a try! I would like to use my tangine – what is the difference in process and cooking time? I have a tangine that I purchased in Morocco from the family I was staying with and it is seasoned, ready to use. Hi Karen, I would transfer everything to the tagine at Step 4 and bake it in the oven, covered with the tagine dome, at 325 F for at least 1 to 1 1/2 hours. At that point check to see if the squash is soft and if not, continue baking until it is. It seems to me that boneless chicken breast sauted for 5 minutes them simmered for 35 minutes would be overcooked. It’s a stewing process and the result will be wonderfully tender and moist chicken. If using a tagine for this receipe, do you put it all together in the tangine? how long do you cook it for and what temp? I did this today in the Crock-Pot for about three hours on ‘high’. Of course, this makes it a fair bit ‘soupier’ (but I like that!). It was so aromatic and tasty (and pretty!). Thanks! Funny you tried that, Lisa, because I just tried it in the slow cooker myself a month ago as :) It definitely doesn’t taste as good, or look as attractive, as the stovetop method but it was still delicious. Thanks so much for your feedback and I’m happy it was hit! Great photos and great recipe! I’m gonna use apricots and almonds with lamb meat. Thank you! That sounds perfect – happy cooking! I’m tinking of doing this but I have chicken leg quarters, how should I proceed? Hi John, you bet! Those legs quarters will give the dish even more flavor from the skin and bones. Just add them last and let them slow-simmer with the dish. Then when it’s done either serve the quarters as they are and eat the meat off the bones, or remove the meat once cook and add it back to the pot. Happy cooking! –How is this recipe if made the day ahead and reheated? –I like the added flavor of thigh meat. Could use boneless/skinless or bone in and skin on. I like your “stew” form –makes it easier to scoop with bread, but bones etc add to the flavor. —I was surprised that you say to put the Tagine in the oven. Thought they were mostly used on the stovetop. Hi Judy! This dish is ideally served immediately because the texture of the squash may become a bit mushy the next day. It would likely taste even better the next day though after the flavors have had more time to meld. 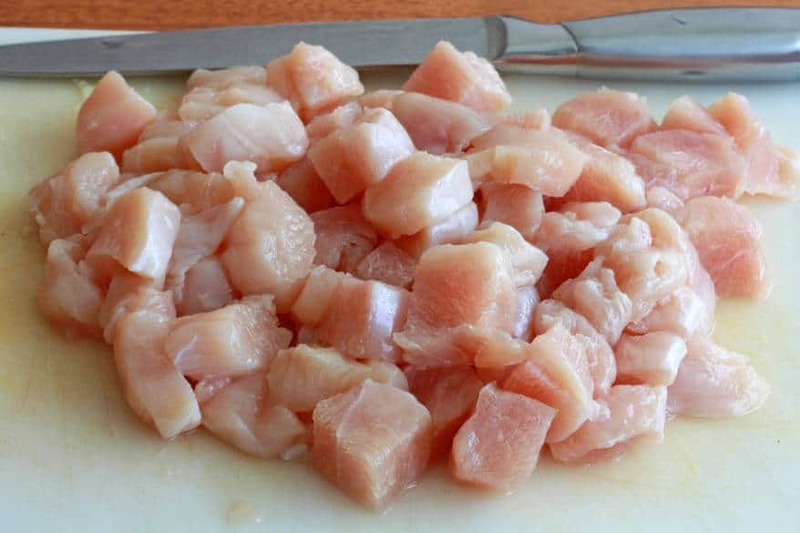 Yes, thigh meat always adds more flavor and you can certainly use bone-in chicken for this. Tagines: Use can use them either way – oven or stovetop. They’re made of clay which is perfect for using in the oven to get a nice slow-cook. Traditionally they’re cooked on hot coals which envelops the tagine, so in the absence of coals the oven is a good alternative. Happy cooking! AWESOME TASTE! For step 1, I used bone-in chicken legs . . . and added a little more water so that the chicken would cook slowly and thoroughly. It took a little longer but sooooo worth it!. I also bought the harissa cause I don’t use it often and didn’t feel like making my own (perhaps at another time). .. but it still turned out great and yes, for anyone wanting to skip the preserved lemons – DON’T! It adds a certain distinct flavour that you can’t get from regular lemon juice. For the 3 chicken cubes, I only had 1. but I had knorr vegetable stock so I used the 1 cube, the concentrated stock and it still came out tasty. Thank you Kimberly… this recipe is gonna be a popular one in the house. HAPPY NEW YEAR! Jennifer, I’m soooo happy to hear you made and enjoyed this! It’s one of my favorite dishes to make for guests, they’re always elated. I couldn’t agree more about the preserved lemons, there simply is no adequate substitute for them and their flavor is simply incredible. And I don’t always make my own harissa either, sometimes I’m just too lazy ;) Thanks so much for your feedback and a Happy New Year to you and your family! It was a nice little dish, but the sweetness of honey/raisins/apricots are too much sweetness so the preserved lemons dont stand out. Hi Simon, taste is always subjective but it’s all about achieving harmony between the flavors without any one overly dominating the rest. Thanks for the great site, can’t wait to try some of your recipes. Any tips on purchasing a Tagine? Friends gave us a very nice small one, but we would like to purchase a large tagine as we like lots of leftovers and/or room to make plenty for guests. I see the one you have pictured has a deeper base than the ones I’ve seen online. Hi Pat, thanks so much! :) The options are very limited here in the U.S. unfortunately. I’m in the Seattle area and there are some specialty shops here that carry a few. But there are also a few on Amazon, for example Emile Henry (expensive), Le Creuset (even more expensive), and Le Souk, etc. This sounds amazing and I can’t wait to try it including making the preserved lemon and Harissa. I’m going for the experience . You mention using a Tagine is different. I’m in the process of seasoning my Tagine now. It will be ready in a few days but that will give me time for the lemons. So how would I do this recipe using a Tagine? Thanks. Hi Lisa! Yes, proper seasoning is important. After that you’ll place the ingredients in it and bake it in the oven – the maximum oven temperature should be 325 F and it will need to cook 3-3 1/2 hours. Avoid opening it too frequently, just check once or twice towards the end to make sure the veggies are tender. This recipe is fantastic. We had just gotten home from Marrakech, and I was yearning to use my new tagine… I went out on a limb and tried this with company the first time out of the gates…It is now in my repertoire of company-worthy dishes — AND kid-friendly cuisine (it pleased our gourmet friends AND my 4 year old, who is perhaps the tougher critic). These flavors meld so exquisitely. My only addition was 1/2 tsp or slightly less of ras-el-hanout (a spice mix we brought back with us). Thank you, Daring Gourmet, for putting such a palate-satisfying dish in my amateur reach! In the recipe, it states “add the lemon juice” but it never tells us how to use the preserved lemon. Can you clarify that please? Hi Chuck, sorry that should read lemon, not juice (referring to the preserved lemon). It looks so amazing and delicious. I cannot wait to try this at home. Great Job. 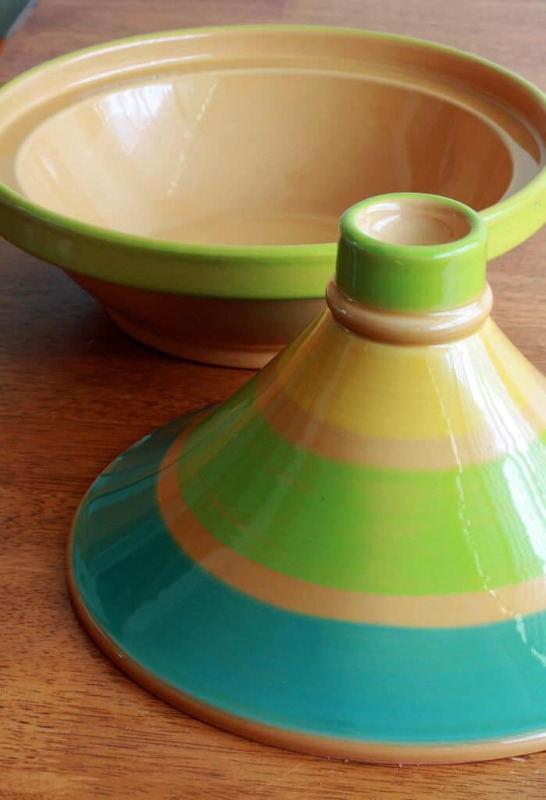 Do you remember where you purchased the pretty tagine? I’m reluctant to buy them online because I want a set for individuals at the table, but the size designations are poorly defined. I don’t want to have to return them. So… any advice or sources are greatly appreciated! Hi Evelyn, this particular one was actually a Goodwill find!! :) I have two others that I bought at World Market. They’ve had some really cute ones in the past, I’m not sure what their current selection is. I’m not sure if they have individual ones either but it’s worth checking. 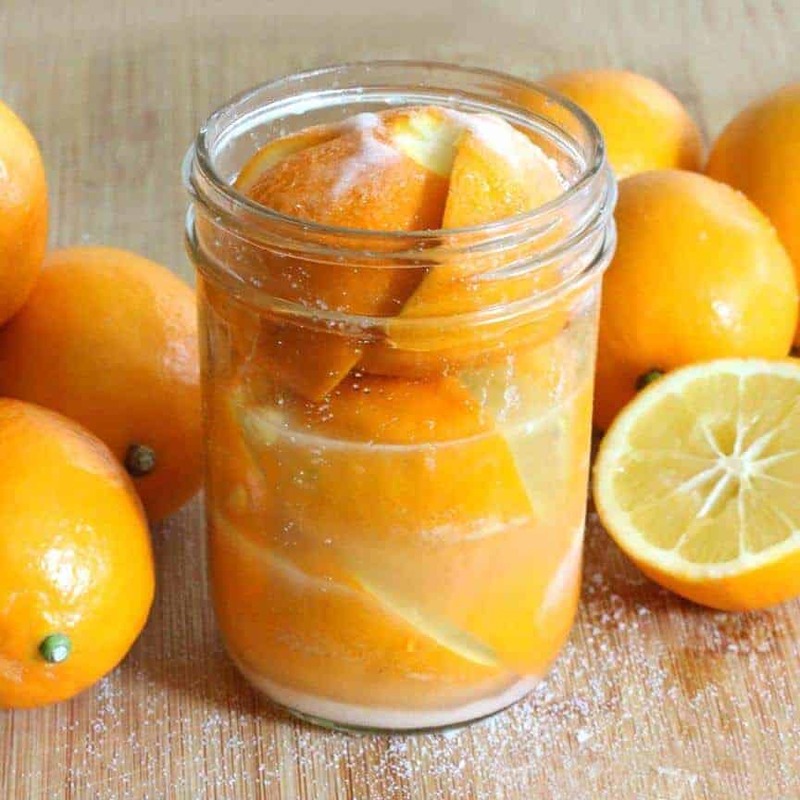 Do you put the preserved lemon in whole and then remove or do you chop it? Hi Debra! No, you first rinse it, remove and discard the flesh, then chop the it up before adding it. Happy cooking! 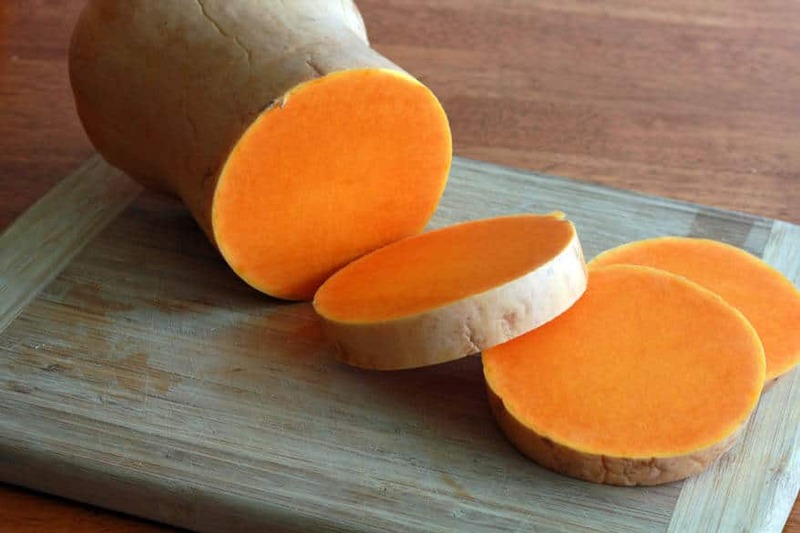 What vegetable can I substitute for squash? I am allergic to it! Hi Mary Lou, sweet potato is a perfect substitute. Hi Kimberly, I’m confused. We also brought a tagine from Morocco and keen to use it. I get the priming of the new tagine, however I don’t get the transferring it to a tagine at step 4, as it’s where you serve up your recipe. Does this mean that if it takes another 1.5 hours and checking that it’s all cooked, means that your method means some content will be under-cooked? It’s probably me or some ambiguity. Hi Henk, I’m sorry about that, I meant to say Step 3.
yes very confusing! might be worth updating the recipe? The flavors of this dish are exquisite! I cooked the entire dish in a traditional clay tagine on top of the stove on low for the same length of time as if in a oven. 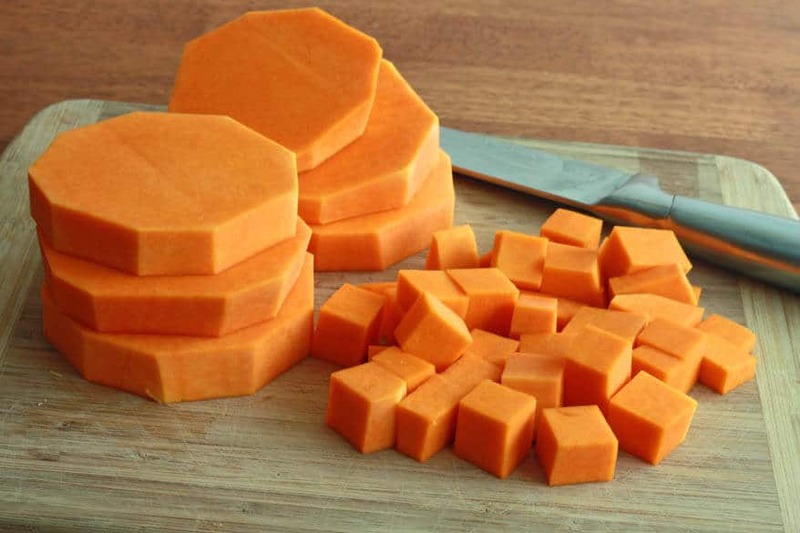 I had two smallish egplants which I sliced and added along with the sweet potato and the entire dish is definitely “company worthy” for your pickiest “foodie ” friends! My husband purred! Fantastic! 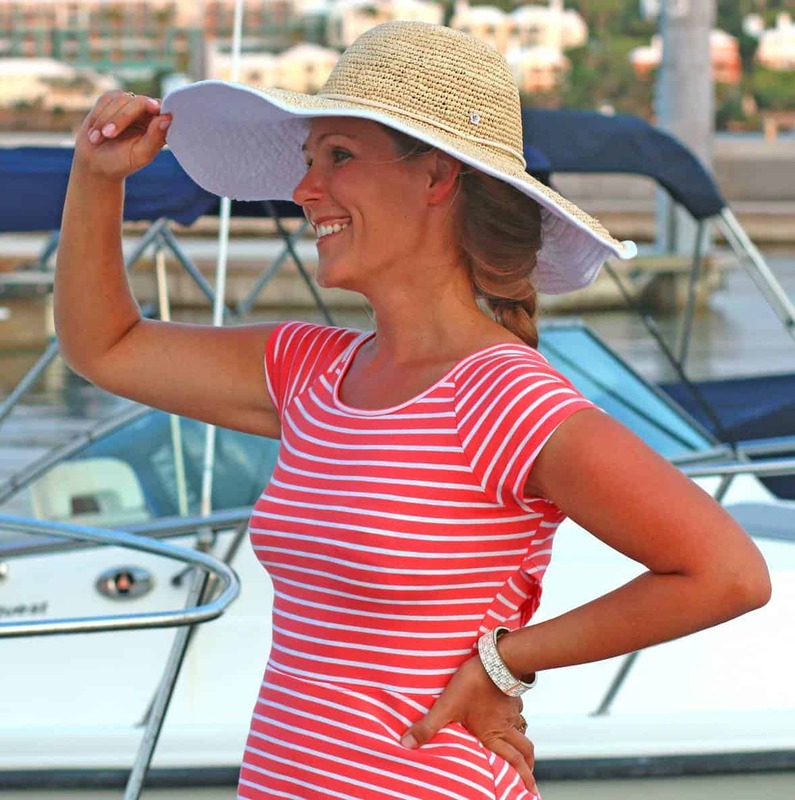 I’m so glad you and your husband enjoyed this as much as we do, thank you! Hi Steve, that’s a good way to approach it and yes, the flavors should intensify. 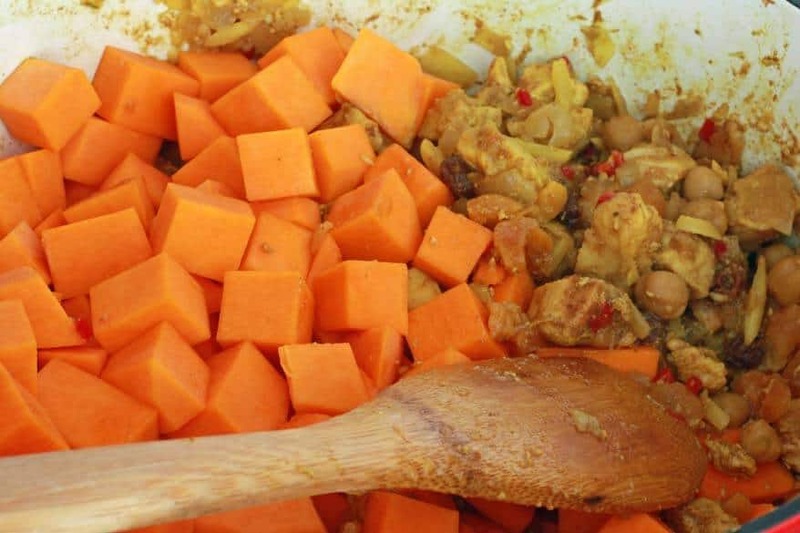 What I would probably do tomorrow is, instead of re-cooking everything with the squash, I would cook the diced squash separately and then add it to the rest of the dish, then reheat everything together – otherwise you run the risk of overcooking the rest of the dish. Yes, please let us know how it goes! Thanks, Debi. Simply because most people don’t have a tagine. But for those who do I’ve included those directions in the “Notes” section. Instead of preserved lemons, I cut up a lemon, add some salt and a tiny bit of water and stew on a very very low heat, watching all the time to make sure it doesn’t burn and topping up the water if necessary. I find it works as well as preserved lemon. I can’t wait to try this recipe as I love Moroccan food. I hope you enjoy this recipe, Judy, please let us know what you think! Hi Starleen, yes tagines come in all difference sizes and it’s impossible to tell from pictures what size they are. That’s happened to me before too, so I’m always very careful now to check the dimensions. Can I use Ras El Hanout only instead of all the other spices? I can’t wait to make this dish. The only restaurant anywhere near me that made authentic chicken tangine (rarely) closed, and I’ve been craving it since. Thanks for publishing this recipe! That would be a good substitute. It has the same spices plus some additional ones, so the resulting dish will have a little different flavor profile but that’s not a bad thing.